UPDATE: The pond is open! More info and tickets here. 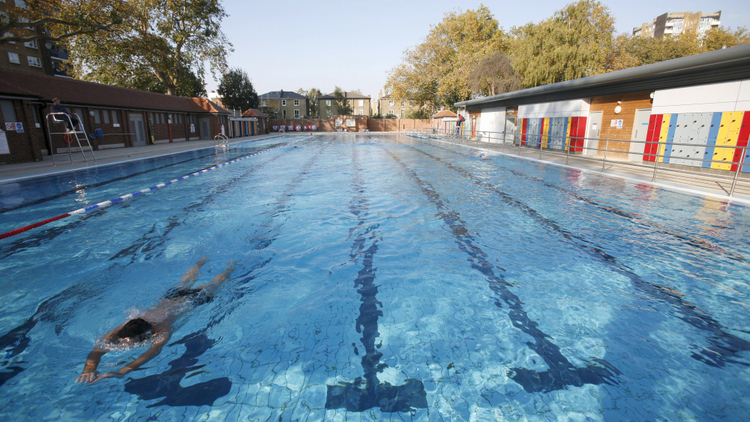 The King's Cross Pond Club is a great opportunity to swim in London and to really feel the city. It's a natural swimming pond in the middle of the King's Cross redevelopment. Actually it's an art installation which aims to make us think about the relationship between nature and urban development. The whole area around King's Cross station and St. Pancras (where the Eurostar arrives) is a construction site, so it's quite refreshing (also literally) to make a swimming pond in this urban jungle. It's a great project according to me because it looks contradictional but in some way it fits so well. The pond will be opening soon (I'll keep you posted) and it will be 40 metres long and has space for over 100 bathers. It's also entirely chemical free: a natural system, including water plants, filters the water and keaps it clear. Of Soil and Water: King’s Cross Pond Club is designed by architects Ooze (Eva Pfannes and Sylvain Hartenberg) and artist Marjetica Potrč as part of the King’s Cross public art program RELAY.